Whether your scrap metal is created in a domestic, commercial or construction setting, there’s always the question of how to dispose of it. 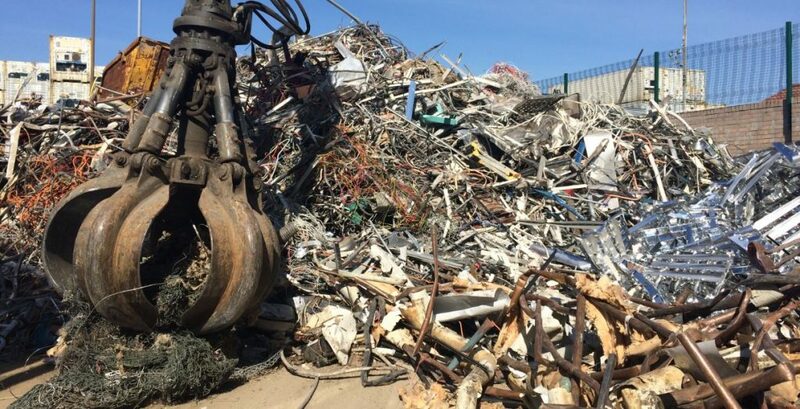 We’ve outlined the different ways you can dispose of scrap metal in your local area, either by using what you have to upcycle, or recycling and selling the scrap. When the scrap metal you’ve created through your work isn’t too large or cumbersome, there are things you can do to upcycle them aesthetically. There’s a fashionable demand at the moment for furniture and home furnishings made from scrap metal (either melted down and reformed or used in its original form) such as tables made from car bonnets or large clock faces, or chairs fabricated out of gears or chain links. The possibilities are greater than you may imagine! Scrap metal can come in some unusual and interesting shapes and styles. Why not try your hand at being creative with that metal and seeing what you could design and manufacture out of what you have collected? Either a simple or an extravagant design could work depending on your creative ideas; some ideas to take inspiration from could be an owl made with gears, vehicles with nuts and bolts or bigger pieces of metal, or maybe be a little more ambitious and create a mythical creature. If you’re not looking to upcycle or creatively interpret the scrap metal created from your work, one other option available to you is reusing it. Depending on the type of scrap metal created, it could be reincorporated into use – such as nuts and bolts – or metals can be melted down as secondary raw materials to make new quality materials without creating any negative effects on the planet and avoiding unnecessarily creating new metal compounds. The metal is melted down in a smelter or furnace and then moulded into ingots or bars for transportation. From there, the metal can be used to make any number of products. Another option is to sell your scrap metal to a local metal recycling company. That way, you make money for your scrap metal, and the metal collected by the company is often recycled and reused as metal in the future. The scrap metal can be collected from you and transported to the local company’s scrap yard, sorted and then recycled. If you’re based in the Hampshire area, come to H&S Metals to make money for your scrap metal. We have yards in both Portsmouth and Bishops Waltham. Find out more about how we recycle metal, and which metals we offer to buy here.